LeeAnn took some great images using her spiffy new bounce flash. 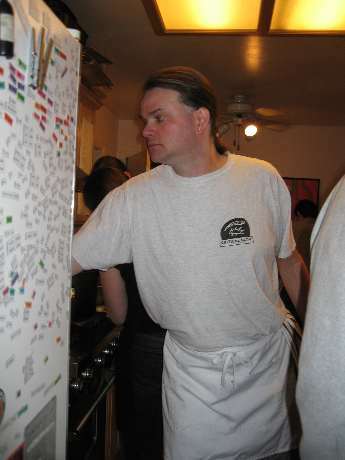 William (one of my sous chefs) doesn't have any pictures, but writes about the experience from his perspective. There will be a complete write up from me along with pictures/recipes and so on in the coming days/weeks. Documenting the 20 dishes this year will no doubt take a bit longer than in the past, so hang in there.